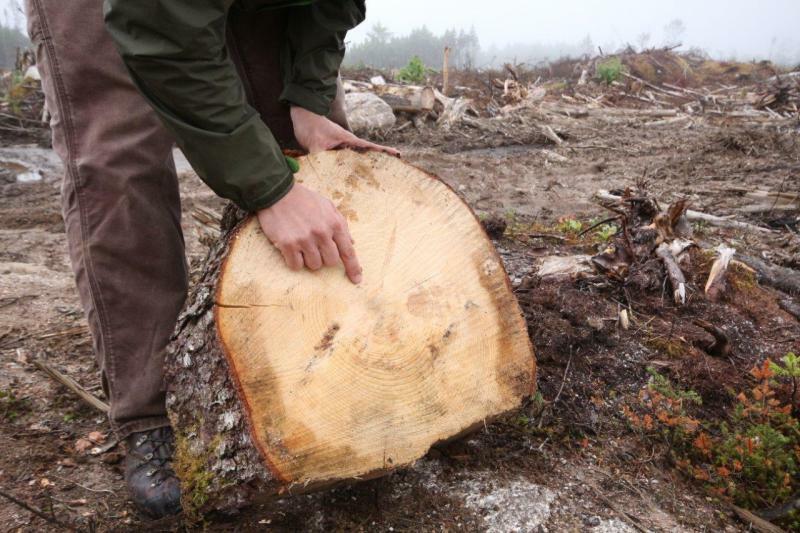 Some of the initial logging sanctioned under the Department of Natural Resources (DNR) Western Crown Lands Plan is beginning on the former Bowater lands, and the early results aren’t good. Ecology Action Centre staff recently toured a clearcut that, until recently, contained 100-year old trees located in an identified “Environmentally Sensitive Area” under DNR’s new Western Crown Lands Plan. The site is located along the shores of Panuke Lake, a major pinch point for wildlife migration between central and southwestern Nova Scotia, just north of St Margaret’s Bay. The Western Crown Lands Plan, announced in March, states that while logging is permitted in an “Environmentally Sensitive Area”, the “dominant value is conservation, including the protection of biodiversity and habitat, and these interests will guide management and resource extraction.” The plan states that “resource management in these areas will be carried out in a manner that protects the identified conservation values.” Other lands in the plan are zoned for either Resource Management or Multiple Values. “The site was a mess of stumps – many of them from trees that were older than 100 years – that just went on and on, completely destroyed”, said Matt Miller, a forester with the Ecology Action Centre. Forests older than 100 years are exceptionally rare in Nova Scotia, forming only 0.3% of the province, according to 2003 forest inventory data. “Natural Resources Minister Zach Churchill has called the Western Crown lands Plan a balanced plan, and yet it permits major clearcutting in an area his own department has flagged as an environmentally sensitive area to conserve wildlife habitat and biodiversity. Obviously this plan is nothing more than window dressing” Miller says. “DNR demonstrates again and again that they are incapable of overseeing forestry in a way that would gain the public’s trust. They continue to dismiss the commitments of their own Natural Resources Strategy and remain too closely aligned with the forest industry. Achieving essential forest practice reforms will first require reforming DNR itself. The Doelle-Lahey Panel recommended a similar approach for the provincial Aquaculture Department, and we see the same need for reforms within DNR if we are ever going to achieve a balanced approach to forestry” Miller says. DNR has refused EAC’s calls to make logging plans for Crown land readily available to the public. 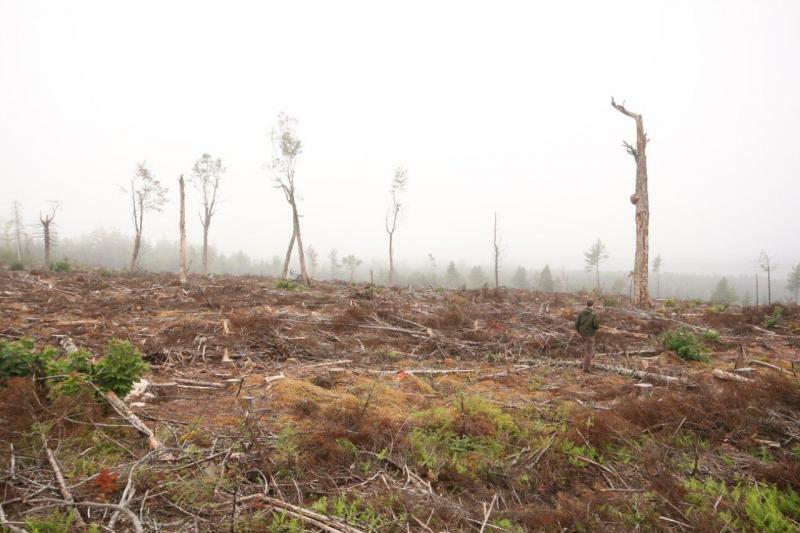 “But we expect there is plenty more clearcutting to come,” Miller warns, referring to the over 185,000 tons in allocations that were handed out in March, one-third of which was given to Northern Pulp.